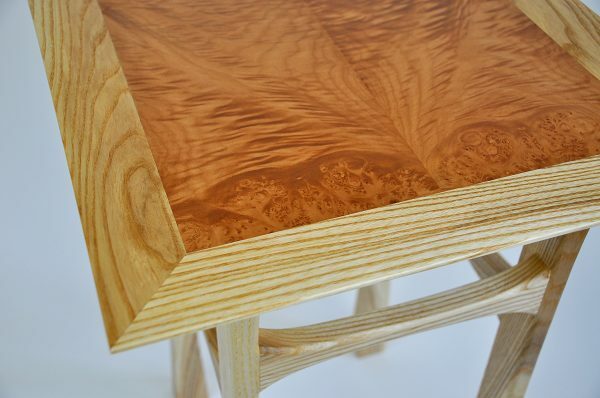 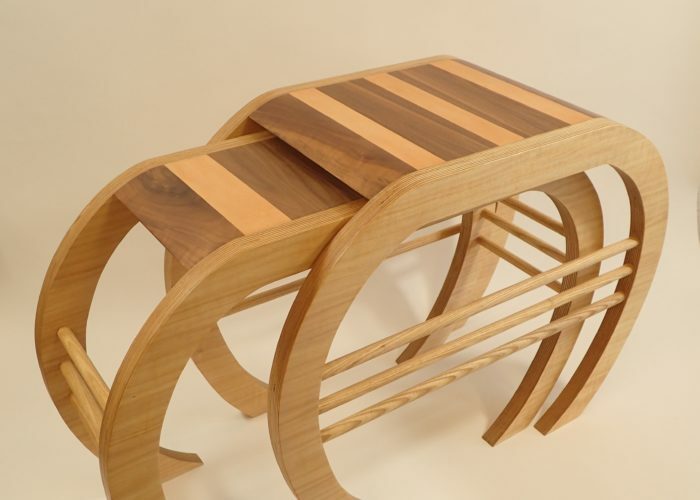 One in a series of side tables – each table is unique; they are all made with differing timbers and veneers. 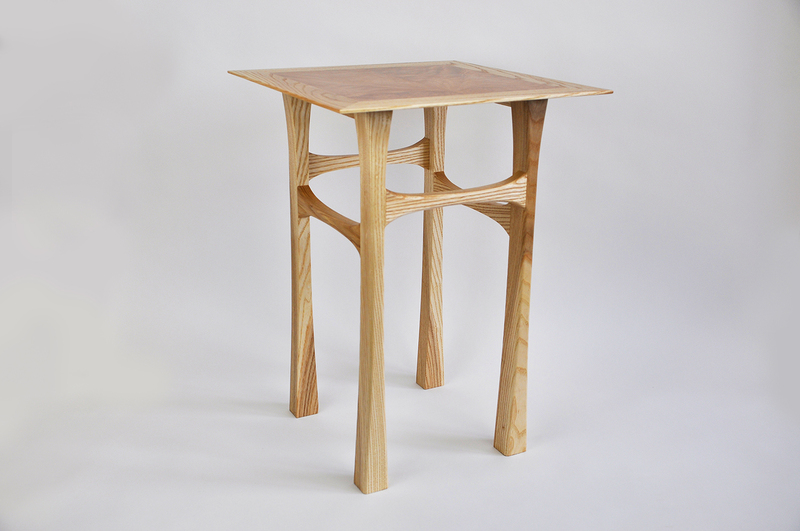 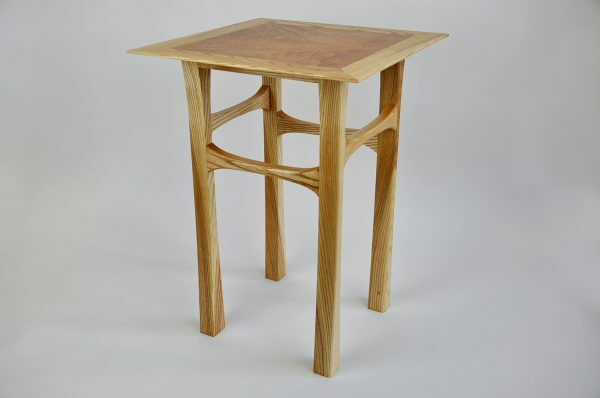 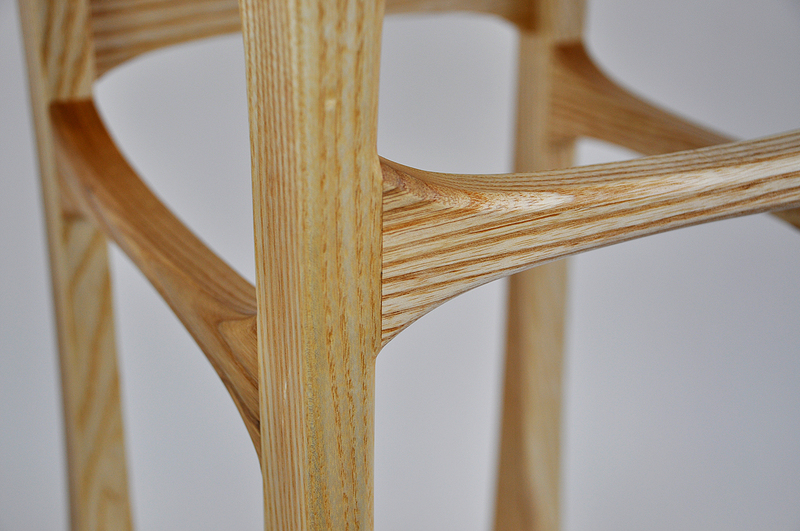 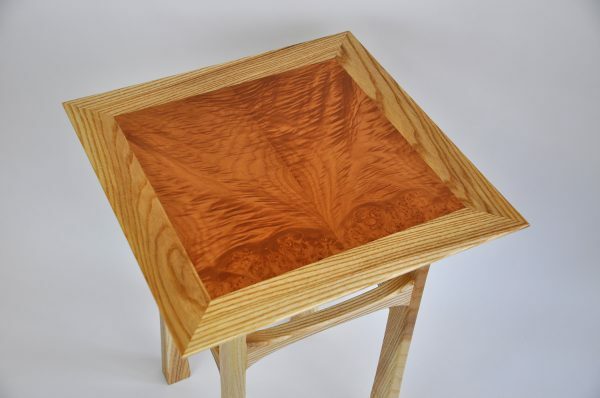 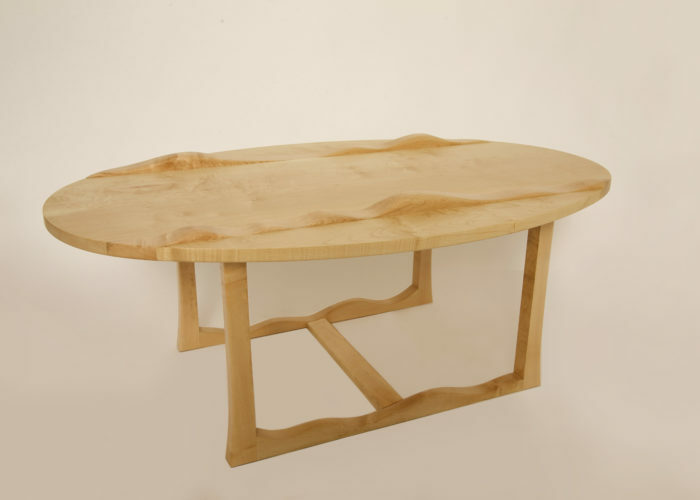 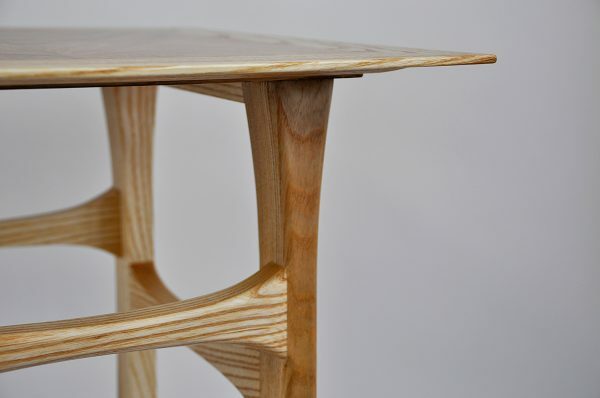 This particular side table is made from ash with a fantastically figured maple cluster veneer top. 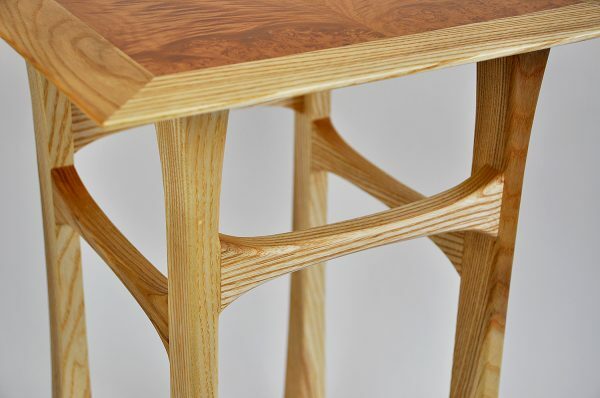 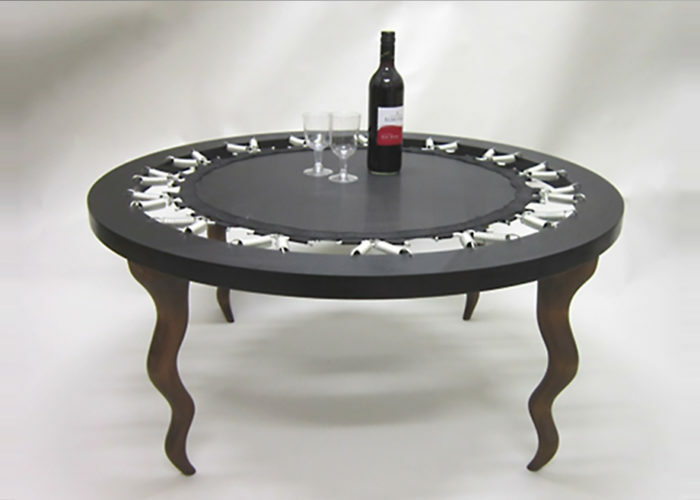 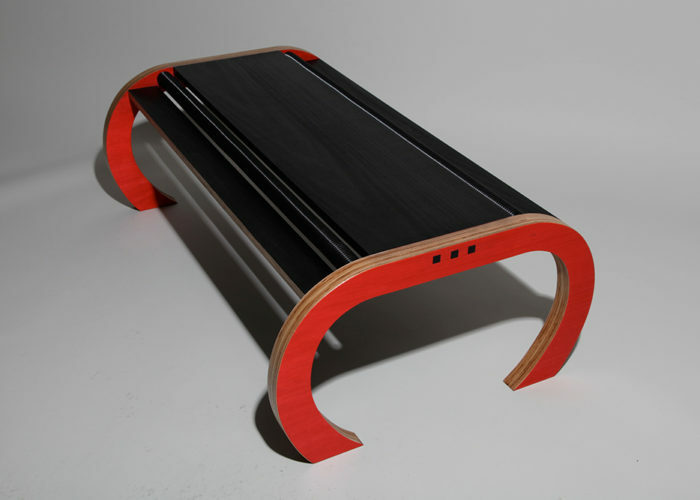 The harmonic and smooth curves of the legs and rails make these tables light and elegant. 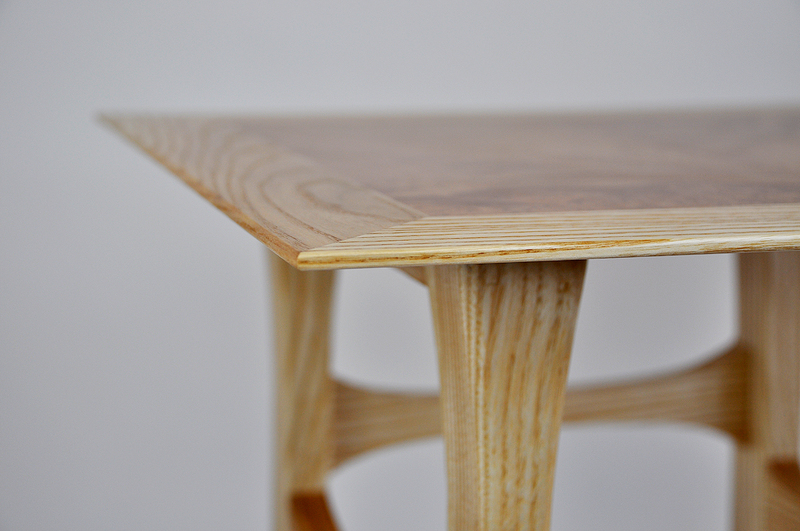 The top enhances this with the hardwood edge tapering to half a centimetre in thickness.